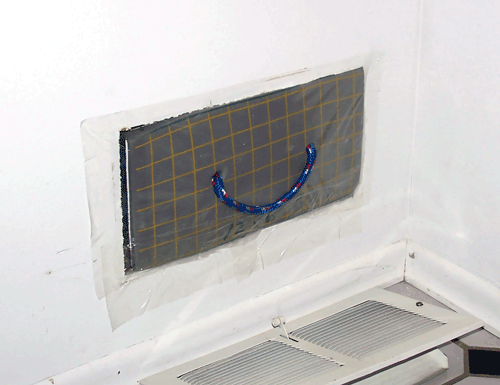 Plugging your registers with foam forces the air in your duct work to escape through leaks. 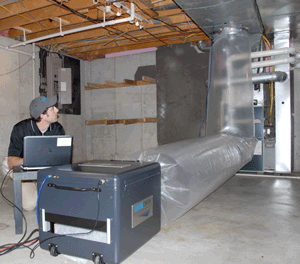 By forcing air to escape through leaks we are able to pretest your duct system and begin the duct sealing process. The next step of the process is to pretest and inject non-toxic sealant into your duct work. The pretest measures exactly how much duct leakage your system has in square inches and also calculates just how much air is escaping through leaks in your duct work. 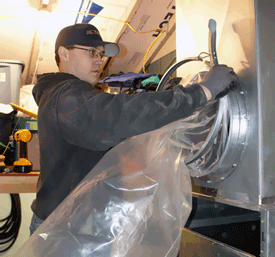 Once the system is properly prepped the Aeroseal machine is connected to the duct work using lay flat tubing. Next, the non-toxic, UL tested and approved, aerosol sealant is injected into your duct system. As the sealant exits your ductwork through leaks it begins to collect on the edge of the hole until the leak is completely sealed. Aeroseal can seal leaks up to 5/8ths of an inch. The aerosol particles begin collecting on the edges of holes and cracks in your duct work and seal your leaky duct work from the inside. 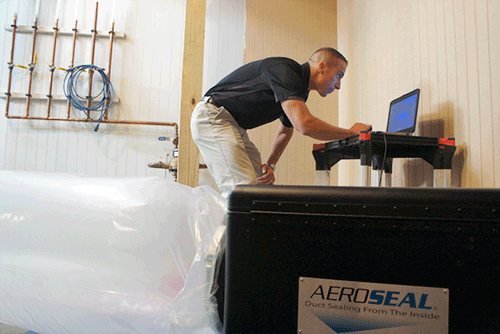 This entire process is computer controlled where you can monitor the results in real time showing you just how effective the Aeroseal process is. Ducts are sealed with only 1 to 2 oz. of sealant material. 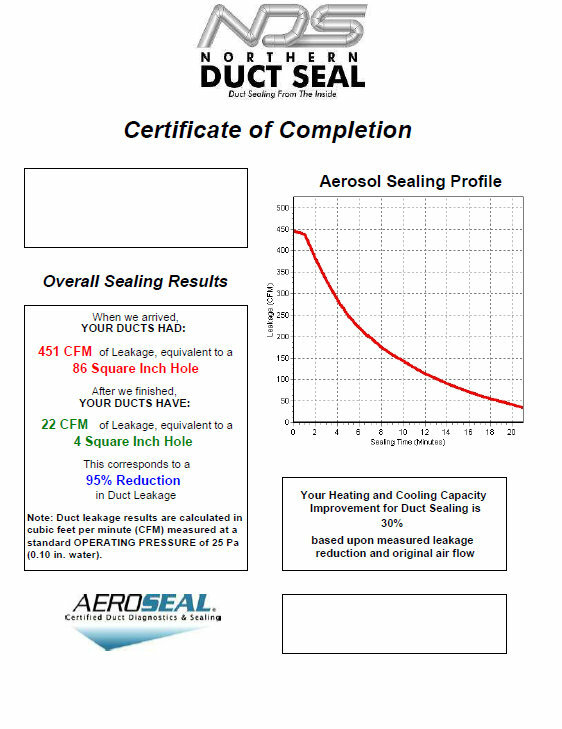 Once the process is complete your certified Aeroseal technician will provide you with a printed certificate summarizing your results.